In the last 11 months, there have been tons of updates to our favorite social networks, several of which were extremely relevant for marketers and business owners. Many of them were just little tweaks, but a lot -- 16 in our estimation -- had a huge impact on marketers' jobs. The latter are the ones we want to highlight; not just to show how much can change in a year, but to emphasize how critical it is to remain agile as an inbound marketer so you can keep up with all these updates. Plus, if you're not already using some of these new features (or perhaps didn't know they existed), what better time to get started than the new year? Here are the biggest social media updates of 2012, and why they were so darn important to marketers. This update makes the job of a social media marketer much more efficient and effective. Before, marketers had to manage multiple accounts in different languages, or decide which language they were going to cater to and settle for unhappy followers who couldn't understand the content. Now, you get the best of both worlds -- one page to manage, personalized content, and one centralized dashboard to measure it all. 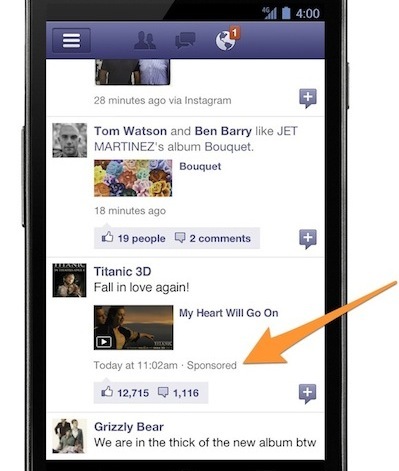 In June, Facebook launched an important feature for marketers who use sponsored ads. For the first time, they allowed marketers to pay for ads only in the Facebook mobile app, as opposed to the mobile app and desktop app combined. Many companies may have known that their audience was predominantly using mobile over desktop -- or perhaps at certain times one is preferable over the other. However, they had to pay for both advertising placements to have the chance to reach mobile users. Now that these options are separate, marketers can now target their mobile audience differently than those accessing pages on their desktop. They can also see which platform performs better to understand where their advertising dollars should be going. In August, Facebook announced that they were going to allow advertisers to target their audience based on more criteria than before, including age, gender, gender the user's interested in, relationship status, education, college grad (college name, major), in college (college name, major, years), in high school, and workplace ... all in addition to the options already available including language and location. Before this update, everything that a Facebook page updated would appear in a user's newsfeed just because of their language and location, even if it didn't really relate to them. With more nitty-gritty targeting options, social media marketers can target parts of their audiences with more personalized content. 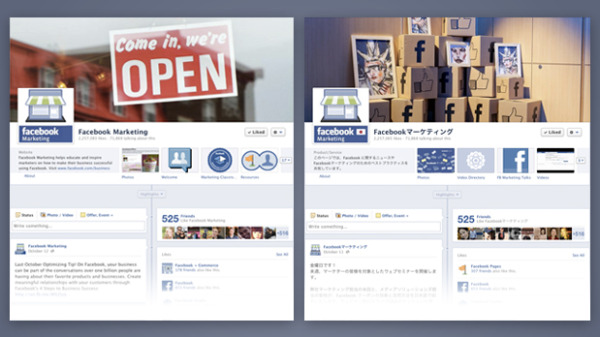 In January, Facebook announced that it was opening submissions for Open Graph applications. Open graph applications allow third-party developers to automatically share user engagement after someone gives them permission once. For example, if you read an article on the New York Times and have given the Open Graph application permission, it will automatically post your engagement with that app -- namely, what you were reading -- on your Timeline. By using Open Graph applications, marketers now have a significantly larger reach than before. Think about it -- if one person is playing a game from Zynga and has 2,000 friends, a healthy portion of those 2,000 friends will learn about the game, and have a pseudo word-of-mouth recommendation for it, too! In June, Twitter announced Tailored Trends, which notifies a Twitter user about popular trends on Twitter based on what Twitter knows about his or her interests, followers, and location. This update allows Twitter to notify users about important topics that matter to each person, instead of the broad topics that only resonate with some. Tailored Trends give marketers a chance to be ahead of the game. When breaking trends affecting the industry happen, Tailored Trends is a way marketers can immediately find out about it, and possibly even do some newsjacking. 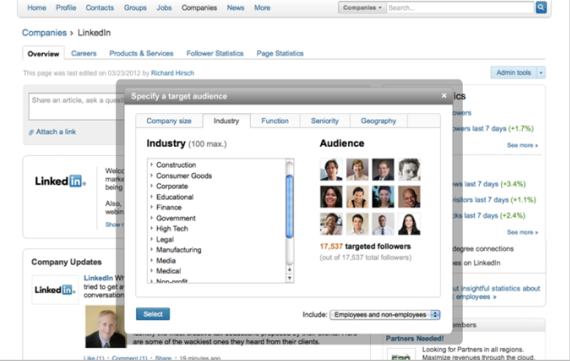 It can also help you decide what kind of content your followers might be interested in hearing from you. In September, Twitter announced a change to the layout of its profile pages. 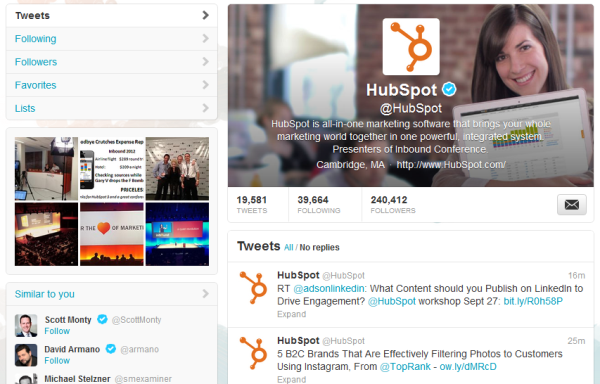 Similar to Facebook, Twitter now has cover photos on a user or company's profile page. Marketers now have more real estate to promote their company and give followers a better feel of what the company is all about. Followers' eyes will immediately go toward the larger image that also promotes the username, location, and bio, which was far less visible with the old layout. In September, Twitter expanded paid advertising to have the ability to target by interest or username. Before, you could target with a search term, but now Twitter allows marketers to get more specific. When targeting by interest, Twitter looks at who the user is talking about, following, and what keywords he or she is using. When targeting by username, Twitter looks at other people who are similar to another username (and not just following them). This update allows marketers to segment during their paid advertising more effectively to reach a greater number of people with interests that are more aligned with the company. In September, LinkedIn announced a new design for their company pages. Before, all of the LinkedIn pages basically looked the same, with the exception of the unique logo and company information blurb. However, the new pages display Company Updates and Products & Services more prominently, provide space for a cover photo, a different layout for Jobs, and the option to better target your company updates to certain segments of your audience. One of the best parts of this new layout is how much more visible your products and services are to page visitors -- that page was even redesigned to showcase recommendations in the sidebar! In April, LinkedIn announced the ability to segment updates based on company size, industry, job function, seniority, geography, and including/excluding company employees. Using this criteria, advertisers can publish updates right to a user's homepage. Your company's LinkedIn admins will also be given metrics for number of followers targeted, impressions, clicks, shares, and engagement after 24 hours. As a result of targeted ads, LinkedIn has seen a 66% increase in engagement. Marketers who are able to segment and personalize messages to their audiences consistently get better results -- what's not to love about the ad personalization bandwagon social media networks are jumping on? In June, LinkedIn & Twitter announced an end to their partnership. 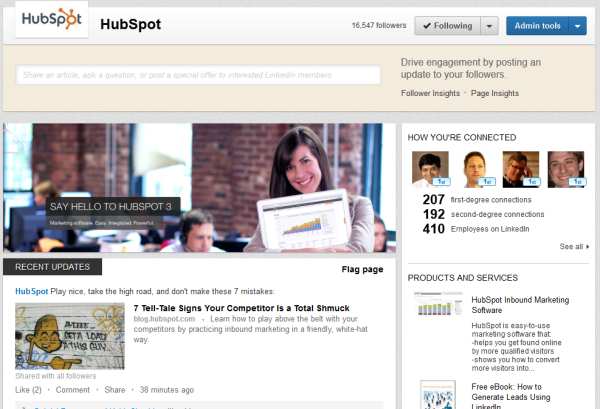 Previously, users could post updates to LinkedIn through their Twitter accounts. The end of their partnership marks the end of users having the ability to do this. Users can still post to Twitter from LinkedIn, but they cannot post to LinkedIn from Twitter, affecting many marketers who had synced up the two for a more streamlined social media management experience. So while marketers are still able to post to both networks, the change takes away some of the efficiency of having posts update to both accounts. In July, Foursquare announced Promoted Updates. Before they were announced, companies could only reach users who had already checked into their business. But with the launch of Promoted Updates, companies had the ability to appear in people's "Explore" tab even if they had not been to the restaurant before. They could promote a special, share photos, or share another message encouraging users to come to their place. This new feature has helped marketers extend their reach and appear in anyone's feed, even if they have never been in contact with the business before. For example, if you're a small coffee shop, your name may not be known by many people, especially in areas dominated by Starbucks or Dunkin' Donuts. 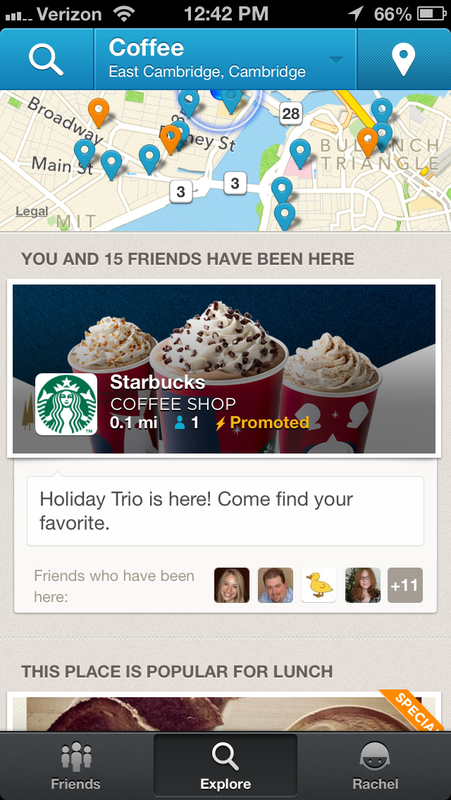 But if you have a promoted post in Foursquare, you have the opportunity to reach a completely new audience. At the beginning of the month, Foursquare announced ratings, a new system they created to recommend places. They don't just ask people whether or not they like a location, but they use a combination of factors including tips, likes, dislikes, popularity, loyalty, local expertise, and check-ins from all over the world. 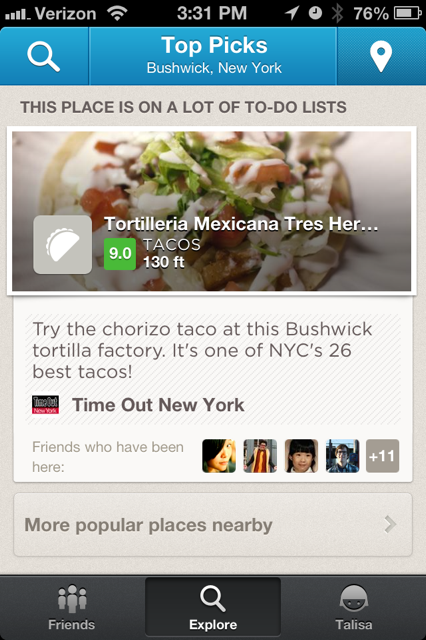 When you go to the 'Explore' tab, you're able to see what the popular places nearby are based on these rankings. Marketers have a unique challenge with this update -- unlike your typical ratings where people say how much they like or dislike a place, this ranking also takes into account other factors including check-ins, tips, and loyalty. It is the marketer's job to encourage people coming to your restaurant or location to leave tips and provide specials that will lead to customer loyalty. In May, Google announced Hangouts on Air to the public to allow people to have hangouts with 9 other people while being broadcasted to an even larger audience. Not only can you broadcast to more people, but you can track how many people are watching at a time, and Google will upload your video to YouTube at the end of the Hangout. Before this update, Hangouts could only really be used in a business setting for smaller conference calls between teams. However, by opening it up to more viewers, Hangouts now have a larger business purpose. Press conferences or company announcements now have a new outlet. Webinars, events, and conferences can now be broadcast to a larger audience. Interviews can now take place on a new channel. And hey, if you can't stand writing content, here's another medium for you to create marketing content ... without ever picking up the proverbial pen! In January, we all learned that Google is now integrating Google+ into search results. So whenever you search for something on Google, it uses information from Google+ accounts in your results, including photos and updates that you or others in your network have shared. Additionally, when you search for people's names in Google search, it pulls in people you're connected with or may be interested in connecting with based on your Google+ profile. Finally, after you search for a particular topic, a list of business pages appear on the right side of the business page. For marketers, the takeaway is clear -- if you care about SEO, but don't really want to use Google+ ... tough cookies. If a potential customer searches for a company in your industry and you don't have a presence on Google+, competitors that do might be the ones that get the click. In May, Google+ decided to get rid of Google Places and put all of its energy into Google+ Local. By searching for a place or restaurant in Google+ Local, the contact information, reviews, and photos of that place appear in the SERPs. 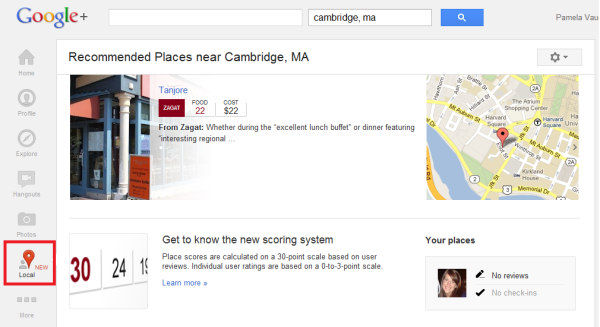 Google+ Local is also now integrated when someone searches for places on Google Maps. If you're already using Google+, this should make your life easier -- and if you're not, here's one more reason to do it. In mid-November, Pinterest finally answered every marketer's prayers and announced business accounts for brands. And the process of setting them up is, luckily, really simple. 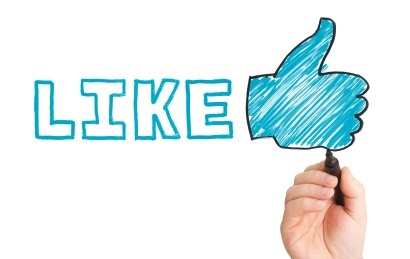 What other social media updates from this year rocked your marketing world? Which updates are you hoping to see in 2013?